PEPY engages regularly with students’ families to make sure they are informed of our activities and purpose, and to evaluate perspectives on their children’s participation in PEPY’s programs. This is important for raising awareness of the value of education, engaging communities in our target areas, and getting to know our students’ situations better. 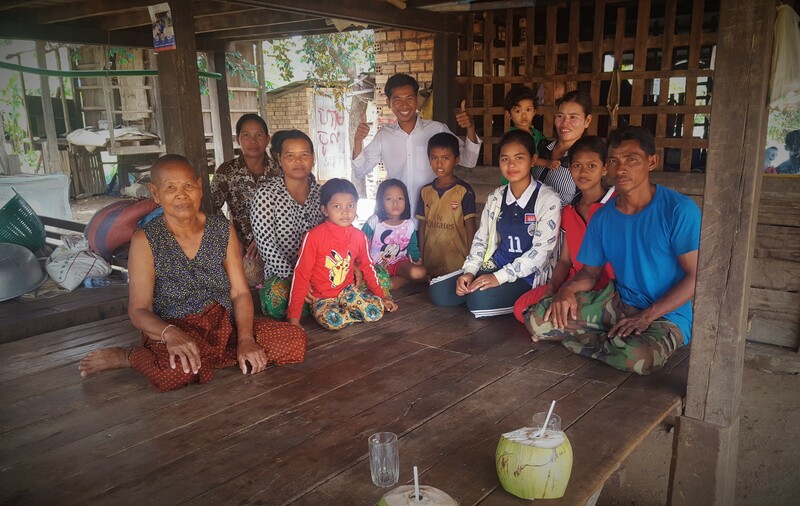 Last month, Sarakk, PEPY’s Executive Director, and Kaia, Communications and Fundraising Officer, visited the homes of two scholarship students’ families to hear their thoughts on their children’s progress, futures, and education overall. Both families welcomed them warmly, as they sat down amongst aunts, uncles, children, and neighbors. Chiva’s father kindly chopped up fresh coconuts for the visitors; Pha’s parents seemed pleasantly surprised and offered them a seat at their hand-painted dining table. 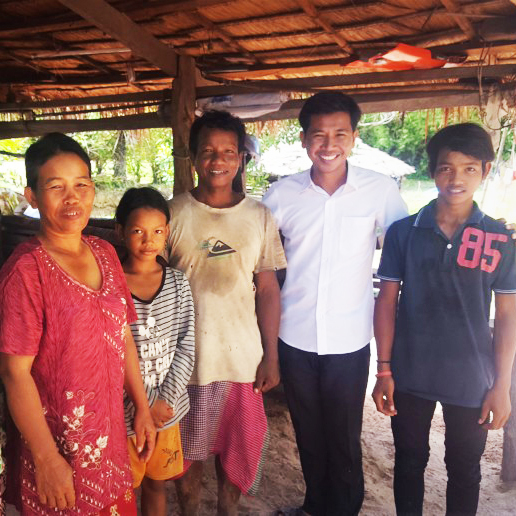 Both families were delighted that their children have been selected for PEPY scholarships, and have high hopes for brighter, more secure futures both for themselves and their children once they obtain employment. Despite some reluctance when their children first left home to study, during this visit, they expressed commitment to support Chiva and Pha as much as possible in finishing their degrees. 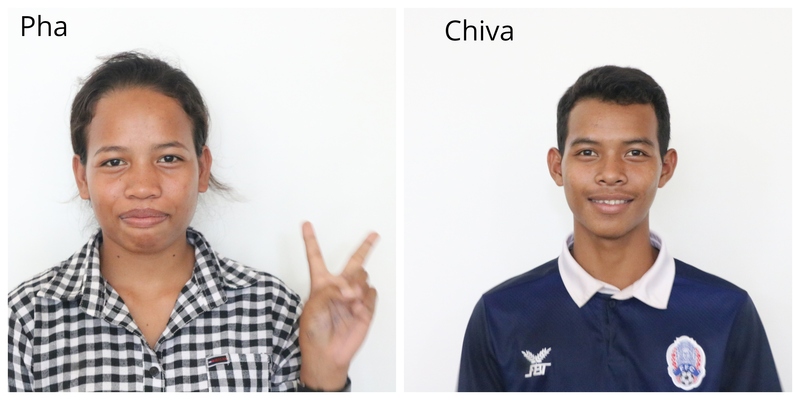 Moreover, they are proud of the changes they have noticed in Pha and Chiva, who have now been attending university and Learning Center classes for over 8 months. “Pha has become more talkative, and encourages her younger siblings to study consistently, especially to work hard on their English homework so they will be better prepared than she was for university classes,” her mother explained. Chiva’s parents said that he has been more proactive in helping around the house and has become more involved with the family. To them, these changes are evidence of how education can lead to personal and interpersonal improvements. Both students’ brothers and sisters also mentioned that they now see the value of continuing their education and also plan on seeking scholarships to help them attend university. Many “thank you”s from many family members were given both to PEPY and also to supporters who have made scholarship provision possible. However, families also expressed some concerns. This year is particularly dry in PEPY’s target districts, causing stress about the success of families’ rice crops. 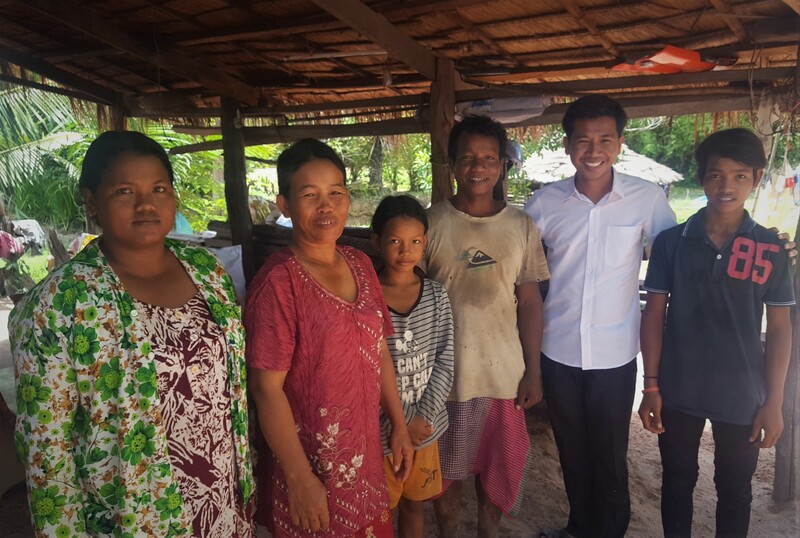 As climate change increasingly poses obstacles to agriculture in Siem Reap province (and Cambodia overall), residents who rely on their crops for sustenance and income are facing significant risks. Their concerns revolve around their their ability to support their younger children all the way through high school and to provide for basic costs such as food and healthcare. “I have a lot of health problems, and right now I’m unsure of how we will continue paying for my medicine,” said Chiva’s father. Regardless, they had smiles on their faces, a hint of their hope for positive change. These conversations illustrate the impact that just one student’s education can make on his/her family. Although students leaving home means more effort for their family members in tending to their livelihoods in the short run, the promise of an income from skilled employment that is more stable and sufficient than from increasingly unreliable farming and undocumented migrant labor makes them confident that their children have made the right decision, both for themselves and their families. The warm welcome and the positive words Sarakk and Kaia received from Chiva and Pha’s families hint at such a sense of hope and reflect how proud they are of their children’s ambitions to succeed. Many classes at Siem Reap universities are in English. While this might not pose quite as much of a problem for students educated in urban schools, which have higher-quality English teaching, students from rural areas often struggle. This is compounded by their duty to help with their parents’ agricultural work, leaving less time to practice at home. Such factors raise the interest in emigrating internationally, especially to Thailand, for basic income provision. 90% of Cambodian migrants are undocumented, meaning they are highly vulnerable to exploitation and harassment by their employers. Bylander, M. (2017, Jan.) Cambodian Migration to Thailand: The Role of Environmental Shocks and Stress. Knomad Working Paper (7).